The 5 lumbar vertebrae are strong and durable structures, but still suffer universal deterioration early in life due to aging and physical exertion. 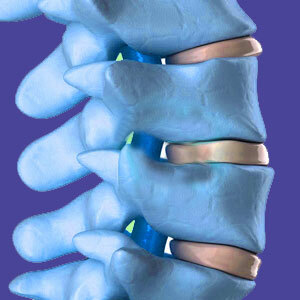 Luckily, most of the changes to these bones are not painful or problematic to the greater vertebral anatomy. However, in some select instances, the vertebrae can become the primary source of back pain, either due to their interactions or their effects on neighboring neurological tissue. 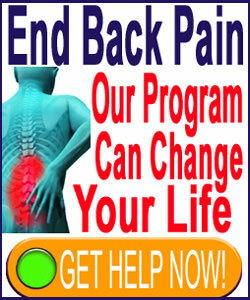 The lumbar spine is called upon to provide almost continuous service in life. The only time the region rests is when we are reclining to sleep. In all other times, the lumbar spine is actively engaged, helping to maintain all of our postures and providing the full range of physical activities that we take for granted each and every day. This background article explains the function and form of the lumbar vertebral bones. We will examine the age-related changes that universally affect these skeletal tissues and provide an honest report on the effects of these alterations as far as back pain is concerned. There are 5 lumbar vertebral bones, named L1 through L5. L1 is the uppermost bone in the lumbar spine, connecting to T12 above it at the thoracolumbar disc. Meanwhile, L5 is the lowest bone in the lumbar spine, connecting to the sacrum at the lumbosacral disc. In between these 2 border vertebrae are L2, L3 and L4. The lumbar vertebrae are the largest and strongest in the human spine. They have large, solid bodies and a variety of strong projections called processes that help to link each bone to their neighbor and regulate spinal range of movement. The lumbar vertebrae meet at the facet joints, which are composed of the articular processes. The inferior articular process from the upper bone meets the superior articular process from the lower bone, creating a solid link across each vertebra of the backbone and combining these individual bones into a single unified structure called the spine. In between each bone is a spacer called a lumbar intervertebral disc. These soft tissues help to provide cushioning and shock absorption between the hard bony surfaces. Posterior to the vertebral body is the central spinal canal. This is the space that contains the spinal cord and other vital tissues. In the upper lumbar spine, the cord ends and separates into the various nerve roots of the cauda equina. In between the vertebrae, there are openings on either side of the spine. These are called neural foramina and allow each of these cauda equina nerve roots to exit the backbone and go on to form the huge network of neurological tissues in the lower body. The lumbar vertebrae will age, just like all the other tissues in the body. Since the lumbar spine is called upon to move, bend and flex continuously throughout life, as well as support our upper body through an exhaustive range of motion, it is normal for the tissues in the lower end of the backbone to demonstrate wear. These age and activity-related changes are called degeneration. Lumbar spinal degeneration affects all of the structures in the human vertebral column, but creates specific changes in the lumbar vertebral bones. Degenerative disc disease reduces the thickness and mass of the spinal discs, causing the spinal bones to move closer to one another and increasing the frequency and severity of their interactions. Simultaneously, the arthritic processes wear away the protective measures in the spinal joints and begin to affect the vertebral bones in numerous ways. Osteophytes form on the surfaces of the vertebrae and might appear in regions that can create pain through neurological compression or mechanical mechanisms of action. It is normal for most adults to demonstrate bone spurring on the facet joints and around the neural foramina. It is also normal for arthritic spinal stenosis to develop in the central vertebral canal. Age and activity will cause spurs to form on the edges of the vertebral bodies. None of these occurrences are inherently painful or pathological, but all have the potential to become problematic, given particular circumstances. Vertebra can fracture due to trauma or compression scenarios often connected to obesity and/or osteoporosis. Vertebra can suffer extreme deterioration due to normal or abnormal aging circumstances or as a direct result of other spinal structural irregularities. Vertebra can suffer subluxation or migration, often called listhesis. Scoliosis and hyperlordosis can cause the vertebral bones to misalign at the spinal joints or even twist. These changes can cause injury and pain in select circumstances. All of these scenarios have the potential to create wide ranging symptoms in the lumbar region of the spine.